Together we can help local children this summer with food to eat and with preparation for the upcoming school year! Just $40 provides a child with lunches for 3 weeks or with a new backpack and school supplies! 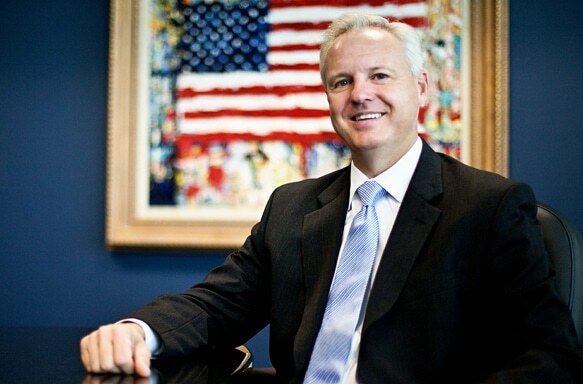 Top immigration attorney Charles Kuck speaks about current immigration laws and answers questions at CAC, Saturday, April 27 from 10 am – 12 pm at 1130 Hightower Trail. The event is free and open to the public! 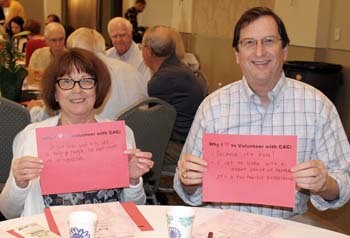 CAC celebrated volunteers for their service at an annual luncheon in April at Temple Sinai. All volunteers were thanked for their dedication to CAC. Some were recognized for reaching milestones in years of service and others for special achievements. The City of Sandy Springs public comment period for the 2019 Annual Action Plan and the 2019 Citizen Participation Plan Amendment is open from March 21, 2019 through April 21, 2019. 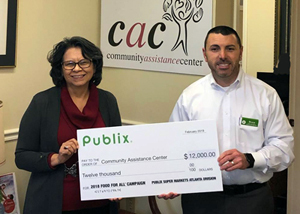 The next Public Hearing will be held on Tuesday, May 7, 2019 at 6:00 p.m.
CAC is pleased to be awarded a $12,000 grant from Publix Super Markets! The grant is made possible by Publix’s annual holiday fundraiser, Food For All®, which supports programs designed to fight hunger and promote self-sufficiency in our communities. 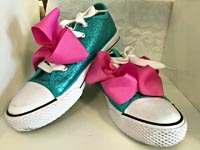 Shop for Spring at the Boutique! Shop for spring clothing and merchandise at the CAC Boutique thrift shop! Now with extended hours including Saturdays. Register for Free ESOL at CAC! Visit our satellite office near I-285!